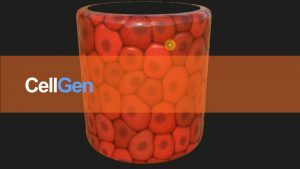 Welcome to 3D Medical Animation – Rigs and Techniques. My name is Gary Welch and I like to explain complex subject matter using a variety of digital media. For example how the first hybrid car worked for History Channel, what blood pressure is for Astra Zeneca, how an all wheel drive motorcycle works for a personal project, how healthy cells function for Roche, what happens in Alzheimer’s disease for Biogen, and how space age technologies can translate into health care therapies for Sky-Scan. My medical animation demo reel and other video, interactive, and illustration samples can be found here. I am grateful to be using cutting edge digital software 9-5, and am still awed by the continual evolution of software technology. I like the challenge of learning new features to enhance look and feel, improve production time and reduce a projects spend. In college I discovered a natural ability to use graphics software like Adobe Illustrator and Macromind Director. At Gower Medical Publishing in NYC Photoshop and Illustrator became my tool of choice. In 1995 I invested in a high-end computer to teach myself video editing, 2D and 3D animation, 3D modeling and interactive programming. I bought my own copies of Adobe Premiere, Photoshop, Illustrator, Director, Ray Dream Designer and then Strata Studio Pro. The night time learning turned into 9-5 use of Aftereffects, Flash, FormZ, Electric Image, 3D Studio Max, Maya, and then Cinema 4D. I would like to share a few general animation tips and tricks in this blog that have served me well. Starting with “reverse animation technique”, and “circle technique”.